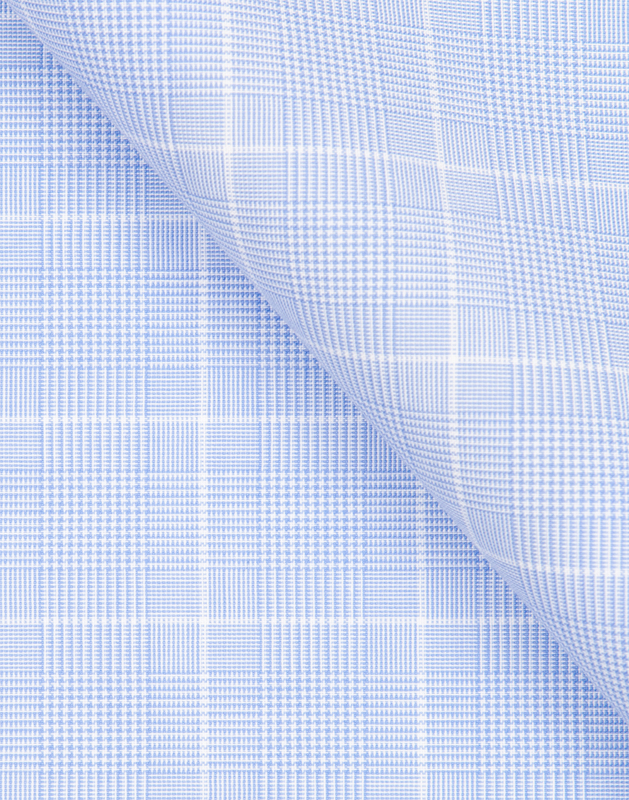 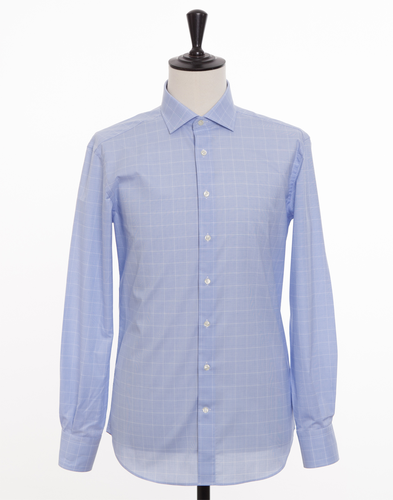 Classic Prince of Wales checked fabric of smooth Zephyr quality (poplin). 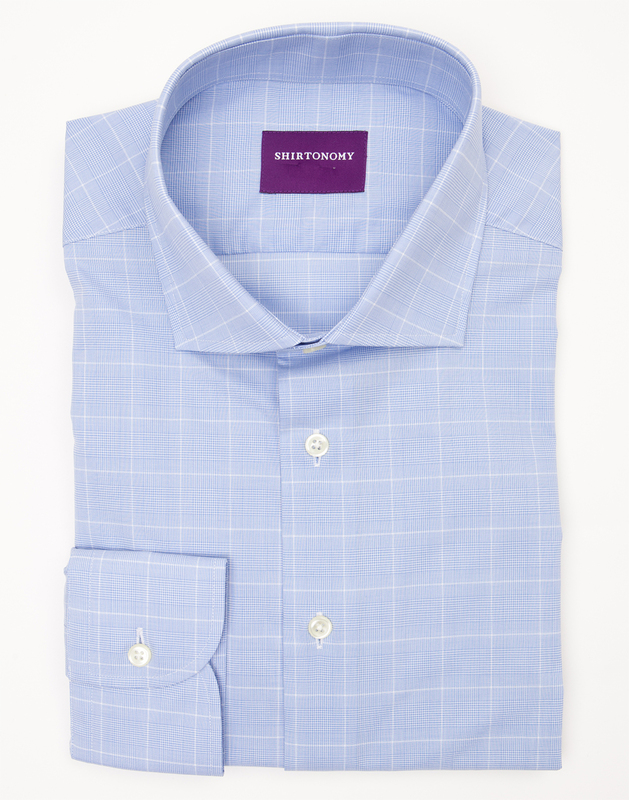 The fabric's discreet checked pattern works best as more formal design choices, such as the full spread collar and French cuffs. 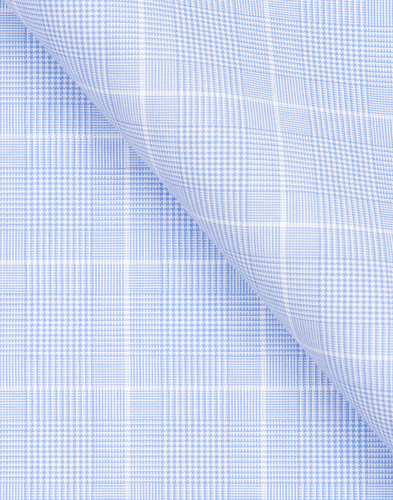 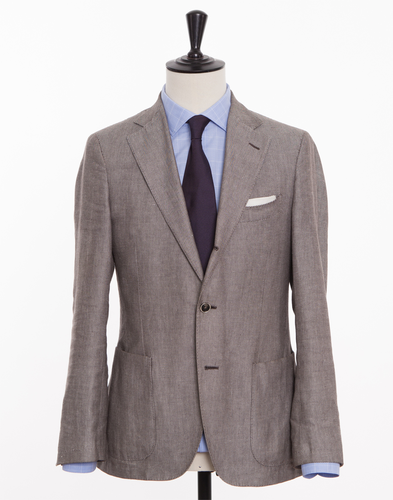 The fabric is woven in Great Britain of double twisted long fibre cotton.